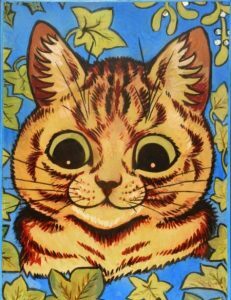 The Chris Beetles Gallery is presenting their hugely popular annual celebration of the very best of cat art – Louis Wain and the Cat Show! Susan Herbert, Lesley Anne Ivory and Lesley Fotherby. Other exhibitors include: Angela Barrett, Debby Faulkner-Stevens, Maeve Gilmore, Geraldine Girvan, and Kathleen Hale.